So I have to picks to you guys this week, one "adult" book and one YA title. Both are going to be awesome.. I just know it! Description: When the FBI request a pack consultant on a serial killer case they're following in Boston, Anna and Charles are sent in. They quickly realize that not only the last two victims were werewolves – all of them were. Hot Damn! That's what I'm talking about. When I read that the 3rd book in the Alpha & Omega series was going to be pushed back (it was originally supposed to drop this fall), I nearly cried. Now we've got an official release date, a name, a description and a cover! Is it February yet? Description: Cate Cahill and her sisters are considered eccentric bluestockings—a little odd, a little unfashionable, and far too educated for their own good. The truth is more complicated; they’re witches. And if their secret is discovered by the priests of the Brotherhood, it could mean an asylum, a prison ship—or an early grave. Before their mother died, she entrusted Cate with keeping them safe and keeping everyone, including their father, in the dark about their powers. When her father employs a governess and Cate begins to receive notes from her missing, presumed-mad godmother, her task becomes much more difficult. As Cate searches for answers in banned books and rebellious new friends, she must juggle unwanted proposals, tea parties, and an illicit attraction to the new gardener. Cate will do anything to protect her sisters, but at what cost to herself? I LOVE witches. The storyline sounds awesome and the cover is ever so lovely. I don't know what else you people want. I'm dying to read Fair Game! I'm so glad its finally coming out and that somebody else loves the series! I AM SOOOOOOO PUMPED for Fair Game! I ADORE Charles and Anna! Can't wait!!! A great pick! I love the Alpha & Omega series. I am dying to start Patricia Briggs series! 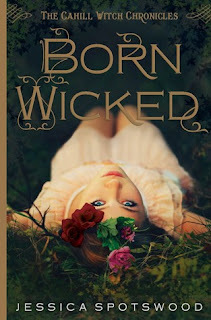 I seem to get distracted from reading the synopsis by the cover for Born Wicked. I've been dying to read the Alpha & Omega series (money needs to start growing on trees). I love witches as well and Born Wicked is one I've had my eye on for a while now - probably because the cover is so gorgeous! 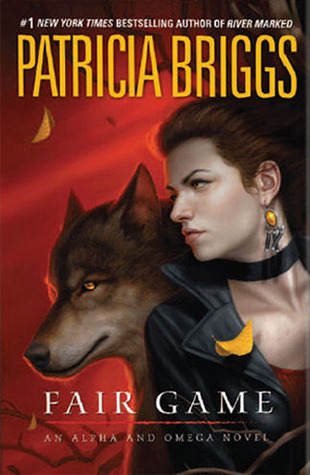 I haven't read Patricia Briggs yet - but I've heard so many good things about her books! Great picks! Love the Alpha and Omega series so I am excited for Fair Game as well. Great picks!! Omg! I found out about Fair Game this morning and totally squealed in delight. That's how much I love her novels! Born Wicked! Oh wow that cover is just gorgeous! I am such a sucker for a great cover! Great picks! Thanks so much for featuring BORN WICKED! It makes me so happy to read that people are excited about it! I am currently obsessed with the Mercy Thompson series! 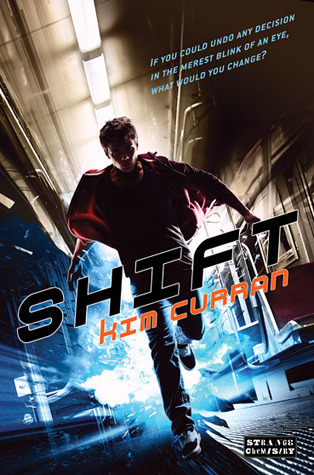 I have on book five now I believe, have been reading them for the past week one after another. I hadn't read much about the other series but I might have to pick them up after I finish this series! I love Anna and Charles and I'm looking forward to reading this installment. Patricia Briggs keeps getting better with each book that she writes.